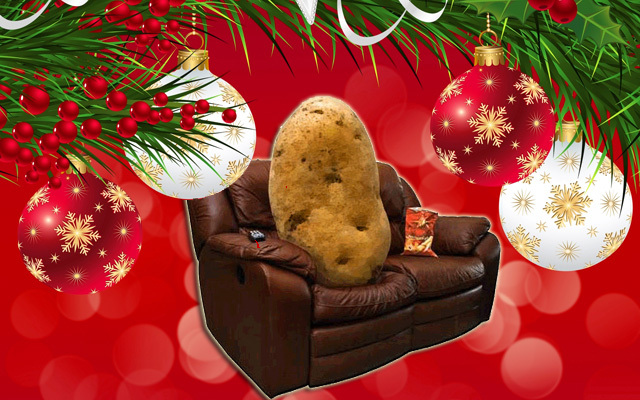 SLOUCH POTATO AT CHRISTMAS | Warped Factor - Words in the Key of Geek. From the safety of the slouch, Tom Pheby looks back at some highlights of Christmas past now playing on your multi-channel TV. Just like Roy Wood's Wizard, who wish it could be Christmas everyday, these fans of festive fun find that once a year is nowhere near enough for them, and Channel 5, naturally, realised they could cash-in and make a show about them. It's the true-spirit of Christmas, after all. In Crackers About Christmas we meet Sylvia Pope, who smiles like an anaesthetised cat at the mere mention of the festive season and can barely contain herself without exploding and showering us all in fake snow. She scurries off to grab a ladder and hang glittery baubles from the ceiling, but this year she hasn't enough! Off to the shops then, and a few hundred baubles later she returns like an excited child sniffing a Mars bar. The final total is 2518 and she stands back to admire her handy work along with her equally enthusiastic Grandchildren, who engage in an elaborate game of I Spy - "I spy with my little eye something beginning with B", "Is it bauble?". Elsewhere we were introduced to professional Santa, Ron Horniblew (no joke necessary at this point). Ron (78), from Leighton Buzzard, has been a jobbing Santa for 51 years and even gives advice at his Christmas Classes, where he assists budding Santa's by giving them tips on polishing buttons, boots & fur, along with beard placement & maintenance. Such nuggets are joyously received by the willing disciples and those in attendance are more than happy to accept the word of Britain's longest serving Father Christmas. Ron with One of the larger children who worship his every move and hangs on his every word. Ron then heads off to the tailors for his latest handmade Santa outfit. Once there, Mr Horniblew is over the moon (I just had to! ), so is his wife who also inspects the new garb with eyes full of wonder and awe. Then there's the man who eats Christmas dinner everyday, the young lad who starts planning his outdoor display in October, spending up to 70% of his annual earnings until its completely to his satisfaction, and the house owner with 72 themed trees - "This is the sock tree"... "The time tree"... yes, yes, we get it. Whatever is on the tree is what is called, well done. Now, I like Christmas as much as the next person but perhaps not as much as this bunch of eccentrics in jazzy Christmas jumpers. Just recently my wife Abbie had a run in with the 'Christmas Police' because she had the temerity to put the tree up, only a few days into December. We were firmly told "It's unlucky, take it down". Well I'll be forwarding this show to Chief Inspector Humbug so that he can investigate and pour scorn on these excitable, seasonal celebrators and confiscate their tinsel instead. 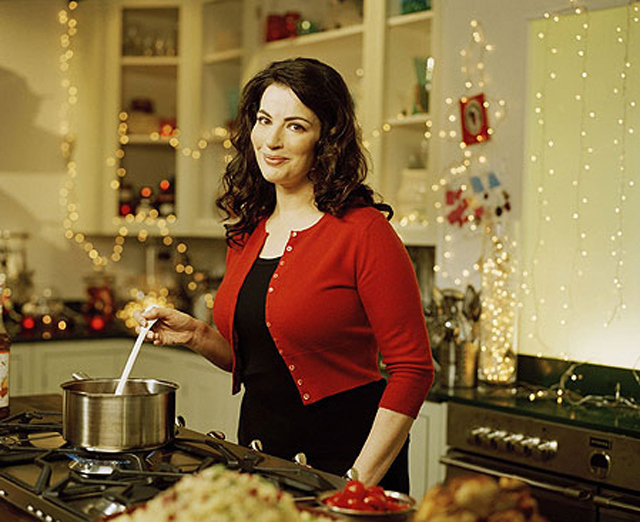 As long as there is Christmas there will be a Nigella Lawson Christmas special playing on some channel somewhere. She's seemingly made hundreds of them, who knew there was that much pretentious food to be enjoyed at this time of year? Thankfully, though, the festive period doesn't stop luscious Nigella lapsing into mild sexual innuendo, so even if you're not a fan of the food, it's worth watching for that alone! Nuts were on the menu! Nigella used them in virtually everything, and it was as if she was compelled by the high priest of nutdom to keep saying the word over and over again. Dressed in figure hugging black from top to toe with an imprisoned chest, she saunters around the kitchen aiming a seductive gaze at the camera.... oh and she did some cooking but I can't remember what the finished product was. "I'm off to grind the meat"
That done, she popped the meat in her oven to do its thang! Off she hopped, to slip into a figure hugging white top - because you've got to change outfits between cooking dishes, right? For this one she began by extolling the virtues of "massaging the meat". This delightful little short film from Eye In The Sky productions features a Santa tree decoration that has designs on a plate full of goodies on the table below. Brilliant and extremely cute! Guaranteed, they'll be a gap in the schedules this Christmas where you can't find anything to watch as a family, so it pays to have a few emergency DVD's that capture the festive spirit. Tim Burton's animated classic from 1993 features a curious mixture of dark, sinister fun and music. It follows Jack Skellington's plans for an new annual festival for the inhabitants of Halloweentown. Somewhere along the way things go awry and chaos ensues, not just for those in Jack's hometown but for the children of the world on Christmas Eve. There are not enough adjectives to lavish on this masterpiece. Essential holiday viewing. The Dr Seuss classic got the Hollywood treatment back in 2000, with Jim Carey excelling as the curmudgeonly recluse who despises Christmas and everything it entails. You know the story, the Grinch decides to deprive the citizens of Whoville of their favorite holiday by paying the town a visit on Christmas Eve to steal anything remotely christmassy, thus putting an end to it once and for all. This 1946 classic is still generally regarded as one of the best films ever made. Starring James Stewart as George Bailey, it's a Christmas story with heart, imagination and intelligence. George is man who has big dreams of travel and adventure but he sacrifices those in order to help his family and friends. When the Bailey business faces financial ruin, George considers what his own life is worth and if others would be better off without him. His thoughts of suicide are interrupted by the arrival of his guardian angel, Clarence Odbody (Henry Travers). Clarence shows George all the lives he has touched in the community and how different life in Bedford Falls would be had he never been born. The McCallister Family are heading to Paris for the festive season, when, the night before departure, petulant 8 year old Kevin (Macaulay Culkin) is sent to sleep in the loft by his mother (Catherine O'Hara). The following day the McCallisters leave for the airport - minus Kevin. He faces Christmas alone in an empty house, but the initial joy of a family free existence is shattered by two con men (Joe Pesci, Daniel Stern) who plan to rob the McCallister residence of all its goodies. and soon makes his presence known. Yippee ki-yay !! For you to fully enjoy Miracle On 34th Street, you will have to suspend belief, drop the cynicism and get in the spirit of Christmas, failure to do any or all three and you may as well not open the case. But if you achieve all of these then you will benefit from a fabulously rich, lighthearted film that is similar to toasting marshmallows on an open fire. John Hughes is director, producer and co-writer on this 1994 version, and if you don't know what that implies, shame on you. It has a very similar feeling to It's a Wonderful Life, and carries the same sentiments to a degree, and stars Richard Attenborough, along with a fine cast that includes Mara Wilson, Elizabeth Perkins, and Dylan McDermott. Coles department store have invested heavily in a Christmas parade even though it is in big financial trouble. The problems worsen when their inebriated Santa is challenged by an infuriated Kris Kringle (Attenborough) and subsequently falls from his sleigh in front of the waiting crowd and TV cameras. 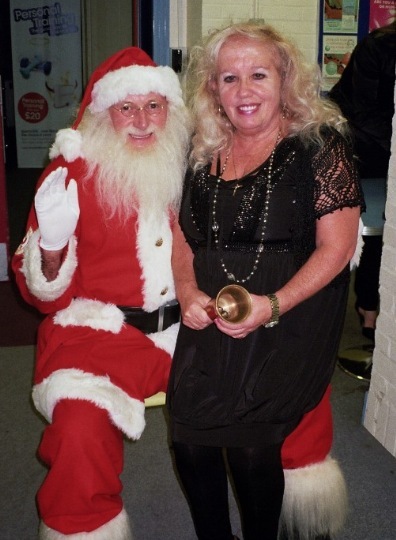 In desperation special events manager Dorey Walker (Perkins) decides to employ the fleeing Attenborough as Santa. This is a disaster for Victor Landberg (Joss Ackland) the owner of Shoppers Express, who has designs on taking over his rival store. Kringle is then employed for the run up to Christmas and Coles seems to enjoy a revival of fortune, however, the competition hatch a plan to discredit him. As a result Kringle ends up in court and faces the threat of incarceration on medical grounds. It's simply the perfect family Christmas film, charming, witty and emotionally charged. Guaranteed to be on at some time everyday on one of the Channel 4 family of channels, it's Kirstie's Handmade Christmas. 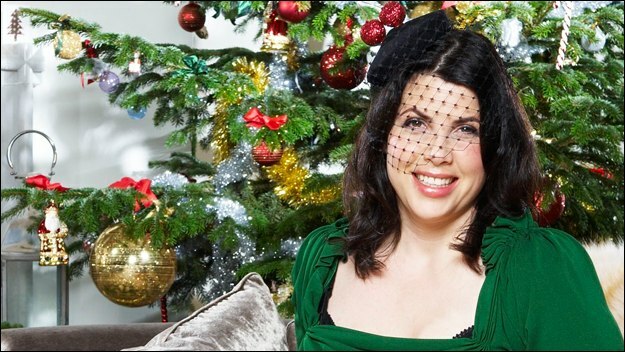 Now, I like Kirstie Allsopp, she's bubbly, inventive, creative and easy on the eye, but she's becoming a bit of a tight wad. Having set out with Phil to get people property at the best possible price, and then attempt to convert the nation to recycling (which I am all in favour of), she now is trying to turn us in to a nation of penny pinchers and spendthrifts at the most crucial time of the year. Kirstie makes soap, Christmas stockings, baubles and other indulgent decorative trimmings in this festive outing. She's guided by various experts and award winners in an effort to put a personal twist on Christmas by making, baking and moulding gifts at a fraction if the price - shame on you lovely Kirstie! Whilst I like the idea in principal, I have no desire to open up a package that contains a bar of soap made from witch hazel, orange peel and goose fat. I don't want a candle that is in the shape of a Julian Clary Christmas Tree or a handmade reef made from pine cones found at the local park. As ungrateful as it may sound, Christmas is the one time you should take the combination locks off your purse or wallet and splash the cash on presents for your family and friends. You know what it's like, you get a gift, open the wrapping and there inside is something so odd or useless that you employ a fake smile, open your eyes wide and utter the words "Wow ... I've always wanted one of those." Yes, you've always craved an Elvis Presley cheese grater, a pen in a tartan sleeping bag or a collection of hand painted walnuts! BigDawsTV sent a presenter onto the streets to handout useless presents to gauge the public's reaction. Just imagine being approached by a tall, hairy stranger in a baseball cap who gives you a gift wrapped rock.